The Oculus Rift is selling "just fine" after Facebook acquired the company, according to Oculus' Community Manager. 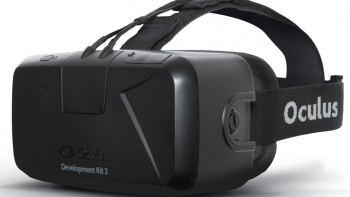 While Facebook's acquisition of Oculus VR, makers of the Oculus Rift, have been mixed at best, it apparently hasn't affected the sales of Oculus' second developer kit (DK2). In a post on the official Oculus Rift forums, Community Manager "cyberreality" states, "Just FYI: Sales of DK2 are doing fine. Thanks," which is in response to assumptions that the VR headset would take a hit commercially following Facebook's controversial buyout. For more news surrounding Facebook's acquisition and the Oculus Rift, make sure to read up on how the device will supposedly have a Facebook branding and have its interface changed, and also Cliff Bleszinski's rather lengthy response to the buyout, where he calls Markus "Notch" Persson a "pouty kid." Do you think Oculus' profits will take a hit due to the Facebook's involvement, or are people unjustifiably hating the sale and jumping on the "I hate Facebook" bandwagon?